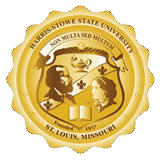 Harris-Stowe State University is committed to ensuring that all University efforts are conducted in an ethical manner. The institutional compliance office at Harris-Stowe is charged with assuring that the institution adheres to all policies, procedures, laws and regulations applicable to the University. Please note that any questions or concerns regarding matters addressed in an employee's contract should be directed to Human Resources.